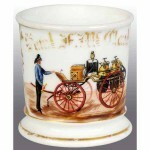 Firefighting related mugs are very popular and often have some of the best decorating that can be found on mugs. 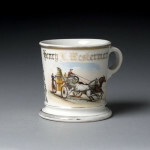 Most Firefighting mugs feature an image of a particular firefighting apparatus whether it’s a horse-drawn pump, hose reel, ladder cart, or a more modern steam powered or motor driven vehicle. 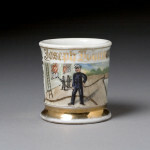 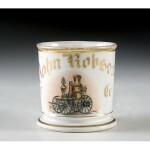 Other mugs show firefighters in action putting out fires, others have gilt text showing it was a mug for the entire firehouse company that they would share. 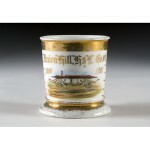 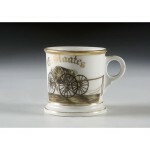 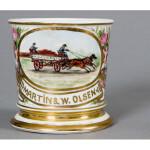 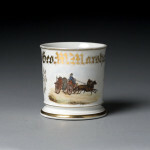 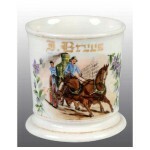 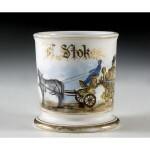 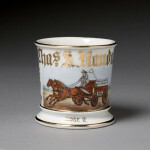 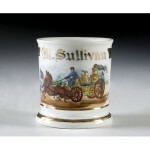 Firefighting mugs are quite valuable and rare examples or one of a kind designs can bring large prices. 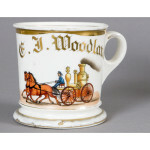 For help valuing your mugs please contact us with pictures for more information.